Being a parent is the most blessed feeling ever, and we all agree to that in unison. However, with parenthood comes the responsibility of nurturing and helping your child grow in the best possible way. While you will get a lot of suggestions from each member of the family as to what is the best baby food that you can feed your child, the decision lies in your hand. 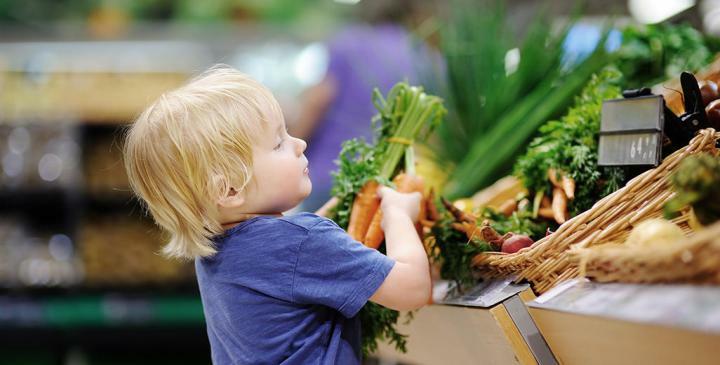 With plenty of options available in the market, today, parents often are lost as to what all should they feed their child. Don’t worry, in this article; we discuss five essential vitamins that are needed for proper growth of the child. One of the basic vitamin that aid the overall growth process of the child is calcium. This nutrient helps to build strong bones and teeth. It is also responsible for keeping the nervous system and muscles working. It also plays a pivotal role in maintaining the heart healthy. In our total years of living, we have only one proper time to build the strongest muscles and bones, and that is early childhood. To avoid diseases such as rickets which turns the legs into a bow-shape, the intake of calcium is crucial. Milk, yoghurt, cheese, soybeans, broccoli, kale, Chinese cabbage, green leafy veggies, almonds and sesame seeds and oil, white beans, red beans, chickpeas, salmon, oranges, figs, and prunes. To ensure that calcium is well-absorbed in the body, vitamin D is needed. It also helps in the growth of bones and will protect the child from any chronic diseases in future is Vitamin D. The drawback is, this vitamin is not present in all baby foods that children often consumed. Hence, many paediatricians suggest a supplement for toddlers. If your child is already eating solids then, cereals such as Ceregrow are an excellent way to ensure vitamin D is included in the diet. Mackerel, sardines, salmon, eggs, milk, cereals. These vitamins are crucial for both – physical and mental growth of the child. It also helps to build and improve the metabolism of the child. This vitamin also helps to keep your child energetic. It maintains the health of the heart and takes care of the nervous system. Vitamin B has many sub-vitamins in its branch, and the most vital one is Vitamin B12. Known for its significant help in maintaining DNA synthesis, it also aids to fight early asthma in children. Vitamin B12 plays a pivotal role in the production of red blood cells and maintaining the levels of white blood cells. Sardines, tuna, poultry, meat, eggs, breakfast cereals, milk, yoghurt, clams, trout, salmon. Vitamin E is known for boosting and building the immune system of a child. This vitamin helps to fight germs and ensures that the blood vessels don’t shrink. One benefit of the vitamin that compels the doctors to mention is its role in aiding the blood flow in the entire body. Also, Vitamin E plays a crucial role in helping the cells work together in the body, thus maintaining excellent inner health. Hazelnuts, peanuts, sunflower seeds and oil, corn oil, spinach, broccoli, soybean oil, kiwi, mango, tomato, etc. This vitamin plays a crucial role in the development of bones and vision. It also protects the child from seasonal infections. Vitamin A plays a massive role in the development, growth and health of cells and tissues in the body. Body parts such as hair, nails and skin are healthy if there is no Vitamin A deficiency in the child. Most baby foods available in the market are rich in vitamin A; however we list down a few more foods that are rich in this vitamin. Carrots, sweet potato, winter squash, cantaloupe, apricots, spinach, kale, collard greens. Hope this article has helped you to know what baby foods are good for your child’s growth and what should encompass a baby food plan. Happy and healthy growth to you and your little one!